Below you can view all the highrises for sale in the Meridian Buckhead subdivision located in Atlanta Georgia. 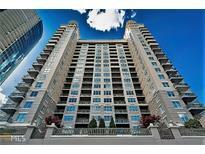 Listings in Meridian Buckhead are updated daily from data we receive from the Atlanta multiple listing service. To learn more about any of these highrises or to receive custom notifications when a new property is listed for sale in Meridian Buckhead, give us a call at 404-998-4063. 24 Concierge, Guest Suites, Deluxe Gym, And Rooftop Swimming Pool, And Onsite Management Make This Move-In Ready Condo The Best Deal In Buckhead! MLS#6537307. Bhgre Metro Brokers. Multitude Of Dining Retail Shops And Steps To The Buckhead Marta Station. MLS#6536803. Atlanta Fine Homes Sothebys International. Gorgeous Roof Top Pool With Amazing Buckhead/Dowtown Views. Connected To Events Room. MLS#6535361. Realty Professionals, Inc.. Amenities: 24-Hour Concierge, Gym, Rooftop Pool, Library, Billiards, Theater, Putting Green, Fire Pit & Much More! MLS#6533972. Beacham And Company Realtors. Walking Distance To Shops And Restaurants. MLS#6530418. Williams Group Realty, Inc..
Building Amenities Include Library/Conference Room, Outdoor Kitchen W/Firepit, Grill, Putting Green, 2 Guest Suites, Theater Room, Gym, Squash, Pool, Events Room, Billiards Room, And 24/7 Concierge. MLS#6529986. Bhgre Metro Brokers. Experience The Best In Buckhead'S Lifestyle. MLS#6524454. Atlanta Fine Homes Sothebys International. The Unit Is Spacious And Charming. This Is A Must See! MLS#6513875. Atlanta Fine Homes Sothebys International. Experience The Best In Buckhead'S Lifestyle. MLS#6504129. Atlanta Fine Homes Sothebys International. Fantastic Building With 24 Hour Concierge, Pool, Gym, Squash Court, Putting Green, Common Grill Area And Many Organized Community Events. MLS#6127747. Keller Williams North Atlanta. This Will Be Your New Home, And Hurry Up To Check It Out! MLS#6120870. 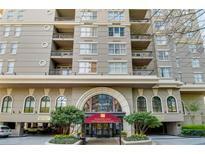 Realty Resources Atl, Inc..
Just Minutes Away From Dining, Lenox Mall, Phipps Plaza, & Buckhead Marta Station. Great Find For Diserning Buyers. MLS#6115757. Atlanta Fine Homes Sothebys International. 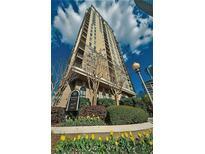 Convieniently Located Just Minutes From, Dining, Lenox Mall, Phipps Plaza, And Buckhead Marta Station. Won'T Last! MLS#6115840. Atlanta Fine Homes Sothebys International. Call To Show And Sell Today! MLS#6080265. Charlesworth Realty Group.